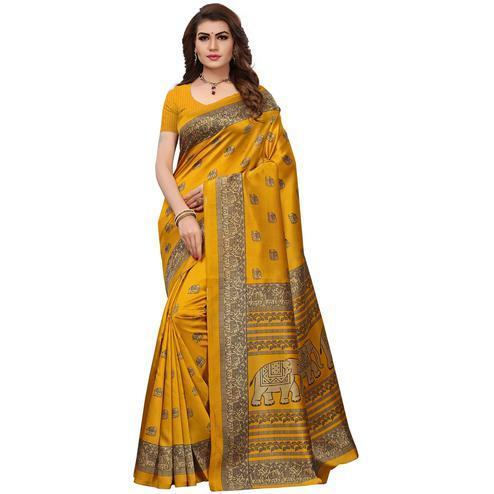 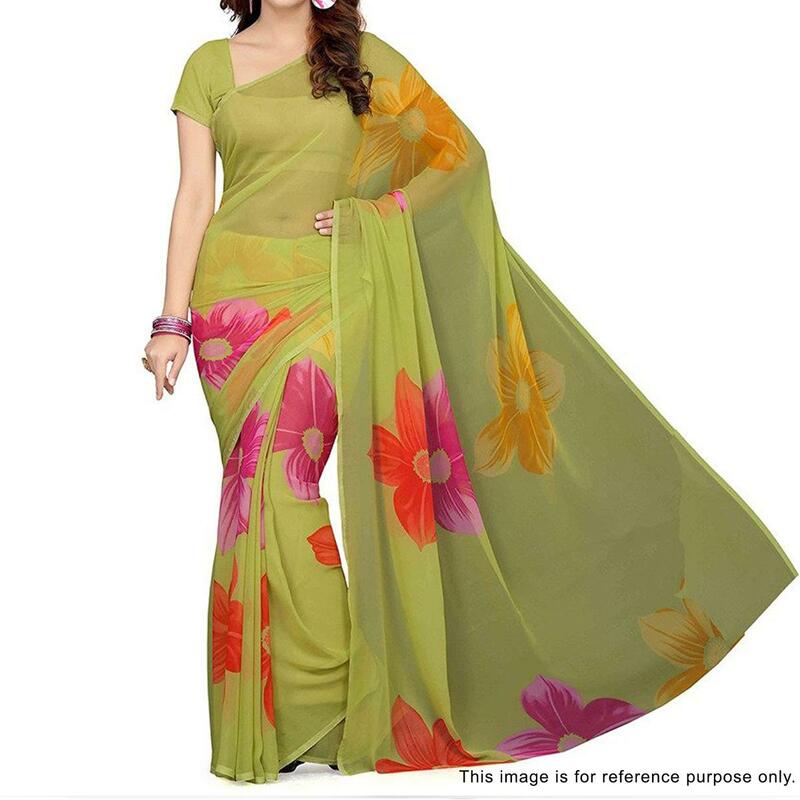 Make your casual look more attractive and pretty wearing this green saree beautified with multicolored floral motifs done all over. 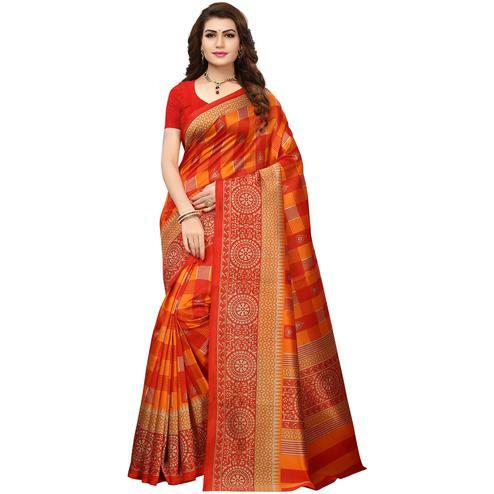 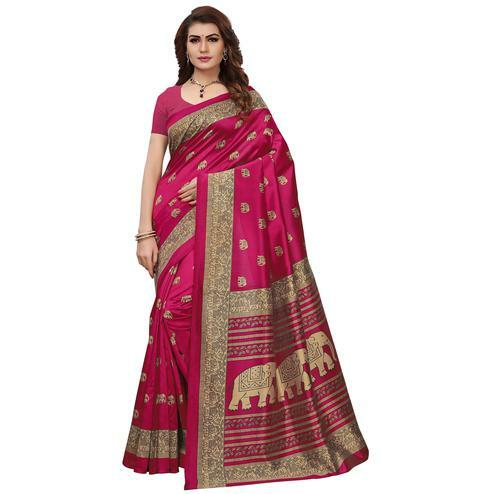 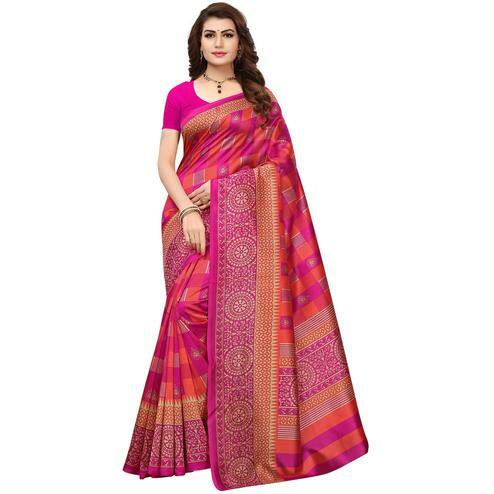 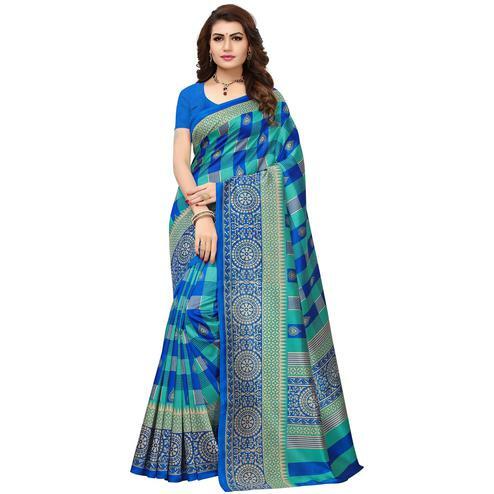 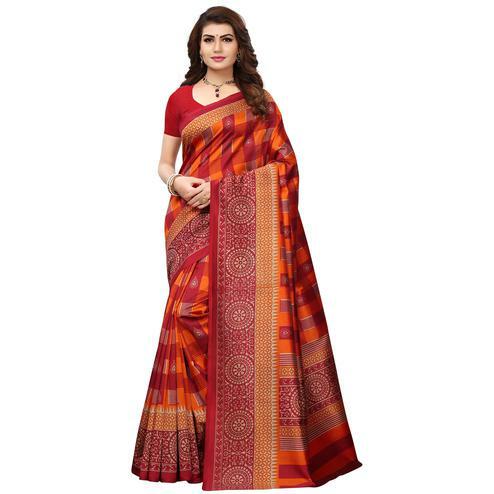 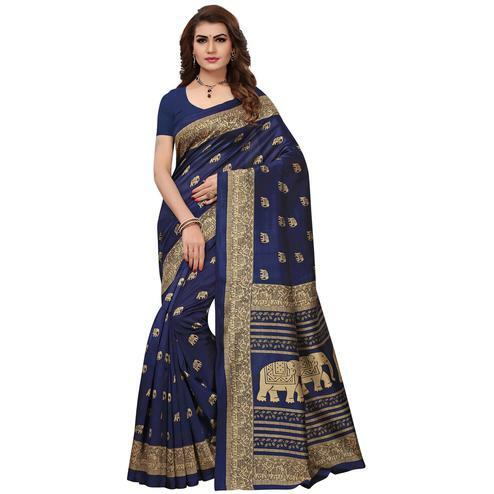 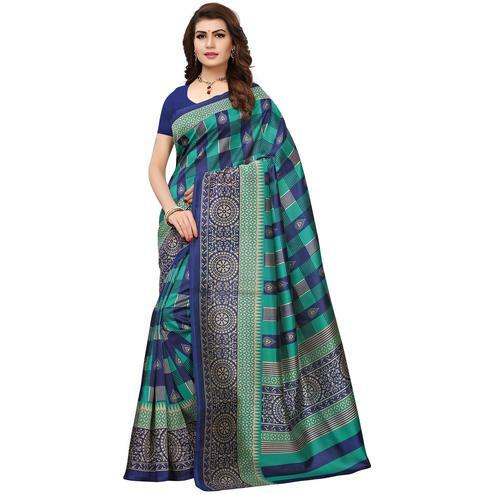 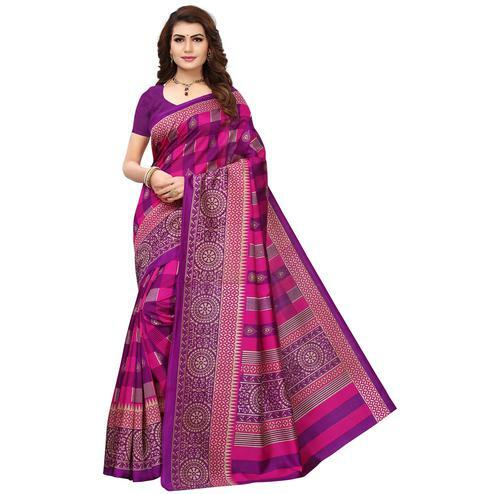 This saree designed using georgette fabric gives the wearer a comfortable feel. 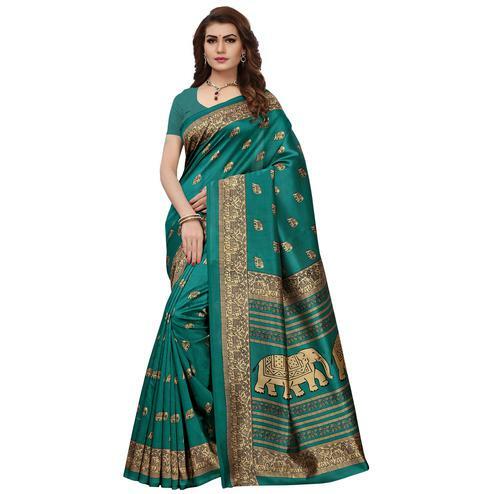 Saree paired with green unstitched blouse piece.